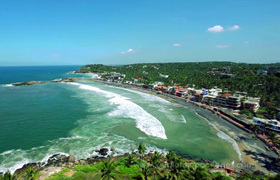 Which is the best time to visit Kerala, India? Tourist season will start from September to April. May to August are offseason, but during this period many travellers from India take advantage of the offseason low price offered by Hotels. 2. 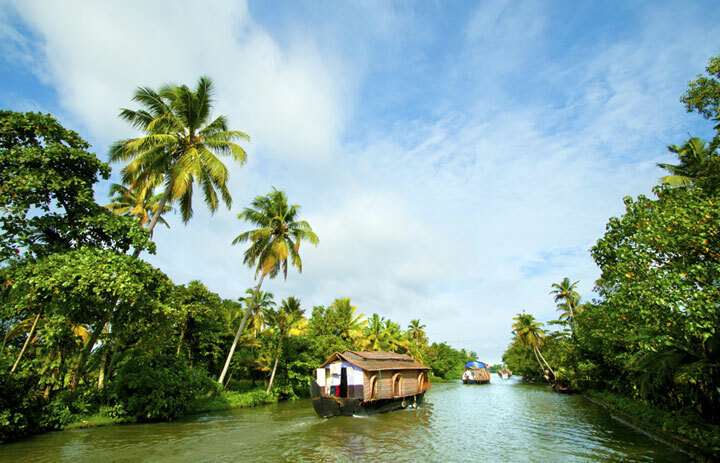 Kollam / Alleppey / Kumarakom - These places are for backwaters. One night stay in a houseboat or backwater resort would be interesting to experience the lively villages on the lakes. 3. Thekkady - Popular for eco and wildlife activities. Boating in the lake is the best way to spot some wild animals and rare plants. Trekking, bamboo rafting,spice plantation visit and local spice market visit at Kumily are not to miss while in Thekkady. 4. Munnar - Very popular hill station for Honeymooners, nature lovers, tea tasters. Munnar has many mountains looks like green carpet by the beautiful tea gardens. Rajamalai, tea museum, dolmens and a tea factory visit are memorable activities available in Munnar. 5. Cochin - Historical sights of Fort Cochin like Jews Synagogue, Mattancherry Palace, St Francis church, Chinese fishing nets. 6. Wayanad - The green destination famous for nature. 8. Bekal - Fort and shallow beaches of Bekal. Do I need to take a visa to visit India? Yes. All Individual visa seekers are requested to apply for the Indian Visa through Online application link, in order to make an application for getting the Indian visa.